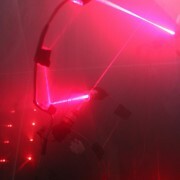 Smoke and Mirrors Machine is a kinetic and digital installation interpreting the principles of secure communication between two parties and how it may be intercepted and subverted; a subject that came under close scrutiny by Alan Turing during his tenure at Bletchley Park working as a key part of the team decoding the German’s complex Enigma Machine communications. 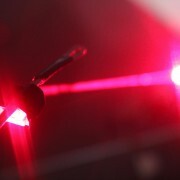 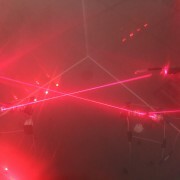 Inside the cube is the symbol for infinity created by a laser being bounced around a series of mirrors and only revealed to the human eye as the cube is filled with smoke. 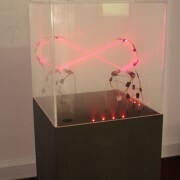 The symbol only appears correctly at two points in space (alluding to two parties sharing an identical message). 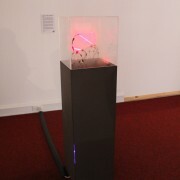 When the perspective projection is viewed correctly, the brain accepts the resulting image as whole, despite the complex physical anamorphic distortion occurring within the installation that has duped the visual minds of the observers into believing they are viewing the same information, when clearly the physical form of the shape has been subverted by the artisits when viewed from any other physical position. 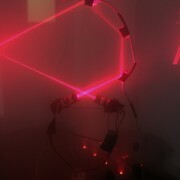 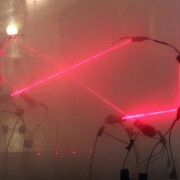 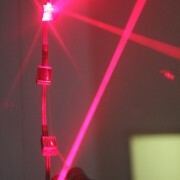 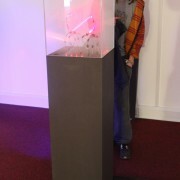 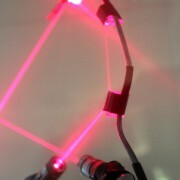 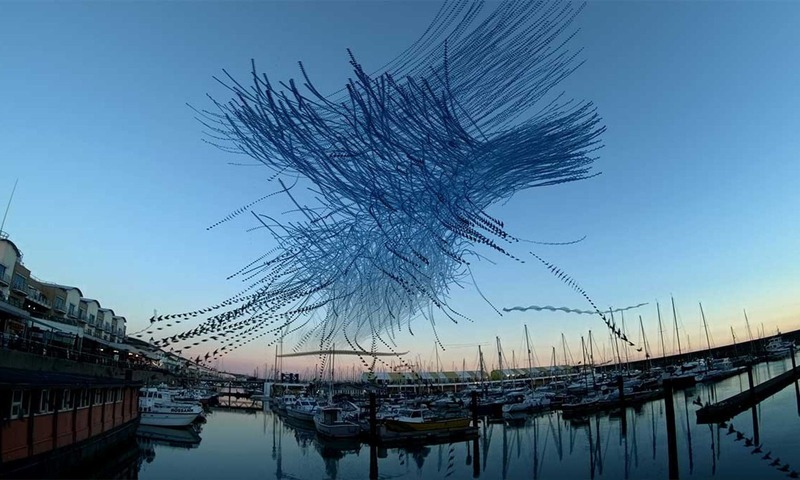 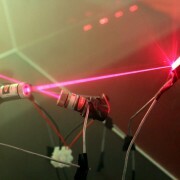 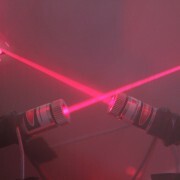 The work is inspired by the “Smoke and Mirrors Attack” described in a paper co-authored by Professor Christianson entitled “Multichannel protocols to prevent relay attacks” that investigates contemporary issues in computer security and how it is possible to be sure that you are digitally communicating with the person or device that you believe you are; a kind of extreme development of the imitation game Turing described in the 1950 paper “Computing Machinery and Intelligence“. 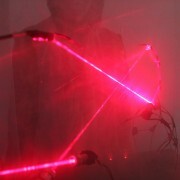 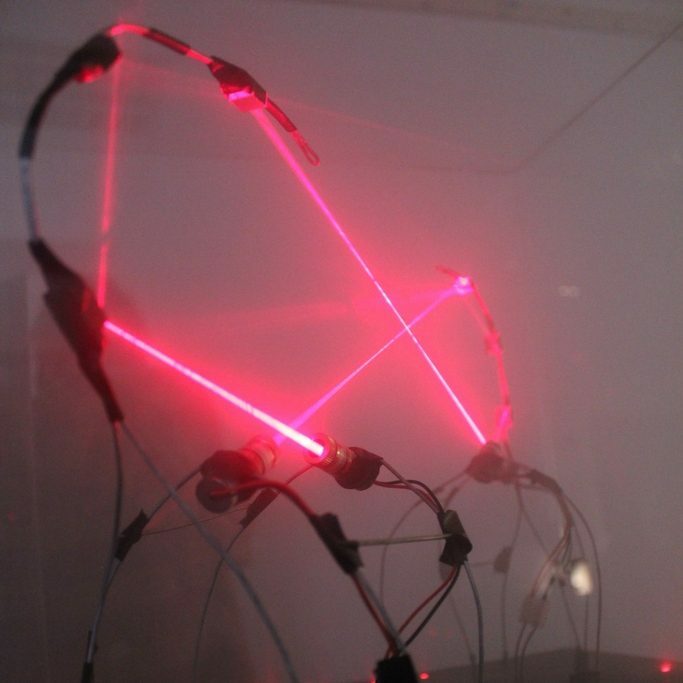 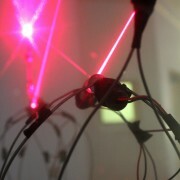 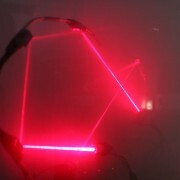 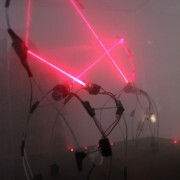 The Smoke and Mirrors Machine was built in partnership with Professor Bruce Christianson, as part of May and Dumitriu’s on-going artistic residency at Hertfordshire University.